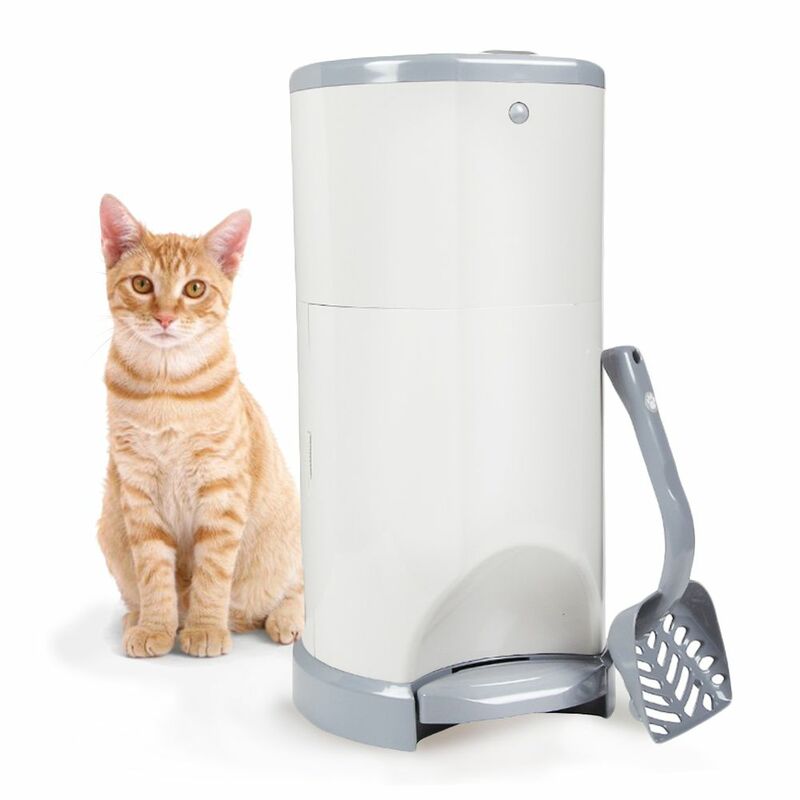 Litter Champ is an innovative pet waste bin for cat litter. It has an elegant, unobtrusive design which fits in everywhere. The sealed lid, additional flap and top quality plastic tube make sure that there are no nasty odours. Simply open the lid using the foot pedal. Drop the litter into the bin and shut the lid. A litter scoop and plastic tube are also included in delivery and this can always be attached to the side of the bin, within easy reach. The 18 micron thick liners are durable, flexible and tear-resistant and made with 20% recyclable materials that are 100% biodegradable. There is a child lock on the flap which allows you to lock the bin for extra safety. Litter Champ at a glance: Triple sealed to prevent bad odours Top quality Elegant design Made from top quality plastic (ABS) Size: 26 cm x 24 cm x 49. 5 cm (L x W x H) Weight: 2.5 kg Childproof Foot pedal for hands-free, quick and easy disposal of used cat litter. Easy to remove full bag Easy to put clean bag in A bag lasts for 2-3 months per cat Ecological, 100% biodegradable plastic tube. Included in delivery: 1 Litter Champ 1 litter scoop 1 plastic tube (refill roll), lightly perfumed Litter Champ makes disposing of dirty cat litter easy: 1. Open lid with foot pedal 2. Throw dirty litter into bin 3. Shut lid How to remove the full bag: 1. Open the front 2. Remove bag 3. Cut bag with door mounted cutter 4. Knot bag 5. Shut front Note: Due a change in the product by the manfacturer, in the future Litter Champ will only come with a hook for securing the scoop and no longer with a magnetic attachment. During this transitional phase either version of the product may be delivered to you and cannot be individually selected.